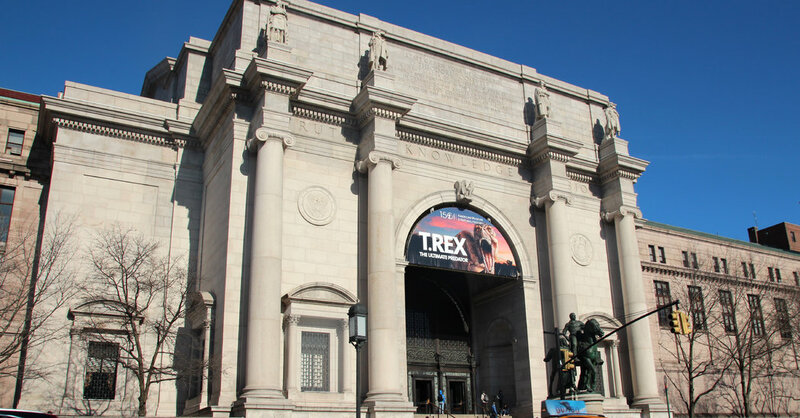 The American Museum of Natural History announced Monday that it will no longer be held at the event museum organized by an outside organization that would have honored Brazilian President Jair Bolsonaro, whose environmental policies have been criticized. The announcement followed criticism that a leading nature and science institution would serve as a platform to recognize those who have proposed environmental deregulation and opened more tropical Amazon rainforests to the world. Mining industry and agribusiness. The event was scheduled to take place in May in the Ocean Life Museum, a popular venue for galas. The Brazilian-American Chamber of Commerce, a non-profit organization that promotes commercial and cultural ties between the United States and Brazil, praised the space. "In mutual respect for the work and objectives of our organizations, we agreed that the museum was not the ideal venue for the gala dinner of the Brazilian-American Chamber of Commerce," said the museum and the room in a joint statement. "This traditional event will take place at another place on the date and at the time of origin." The museum reacted quickly after discovering this month that President Bolsonaro would receive the annual personality award at the event. This gala, which has about 1,000 people, is a well-established annual event. It has already taken place at the museum in previous years. Recipients include former President Bill Clinton and former Mayor Michael R. Bloomberg. Among the people who pushed the museum to cancel the gala, there was Mayor Bill de Blasio, who said he found the event held in an institution that accepts funding the city "very disturbing". Futter, claiming that the event was "in direct conflict with the values ​​of the museum". At the end of last week, the museum announced that it was coming back on its decision to rent out its space for the gala. Backtracking seemed inevitable when, over the weekend, the museum issued statements publicly thanking those who had raised concerns and said, "We want you to know that we understand and share your distress." Representatives of the museum did not explain the reasons why they agreed to cancel the event. But in earlier statements, the museum had stated that he was "deeply concerned about the stated political goals of the current Brazilian administration". It is difficult to know where the gala will take place, scheduled for May 14th. No one at the Chamber of Commerce could be contacted for comment. According to its website, President Bolsonaro is honored "in recognition of his firm commitment to forge closer trade and diplomatic relations between Brazil and the United States and his firm commitment to building a strong and lasting partnership between the two countries." ". It is also difficult to know what kind of financial success, if any, the museum had to cancel for the gala. The museum refused to specify how much money it had received or was planning to receive for space rental. The speed with which events unfolded was underlined by the fact that Monday evening, the website of the chamber continued to indicate the museum as the venue of the gala. Outside social events can be lucrative for museums. But this latest outcry comes at a time when there are more and more questions about the type of control that museums and organizations on their boards should give them, give them money or, as in this case, rent their space. Traditionally, museums have argued that they do not apply ideological decisive tests to their donors or administrators, a position of principle, but also a position allowing non-profit institutions often facing financial difficulties to accept funding from the widest range of people. The Natural History Museum had grounded this principle a few years ago to defend its decision to offer a seat on the board of directors of Rebekah Mercer, an influential donor to the museum and groups who deny change. climate. However, some museums have recently adopted a different position. In several cases, institutions said they were reviewing their associations with some members of the Sackler family because their company, Purdue Pharma, was linked to the opioid crisis.